Congratulations to the MISA in St James’s Hospital and Care Centre for receiving the 2017 RIAI Architecture Award for Best Health Building. Allied Workspace contributed as one of the contractors on the highly esteemed project. Mercer’s Institute for Successful Ageing is an ambitious new project on the campus of St James’s Hospital which was opened by President Michael D Higgins in December 2016. The building is a new seven story structure with 116 new single inpatient rooms; with outpatient therapy and support spaces. 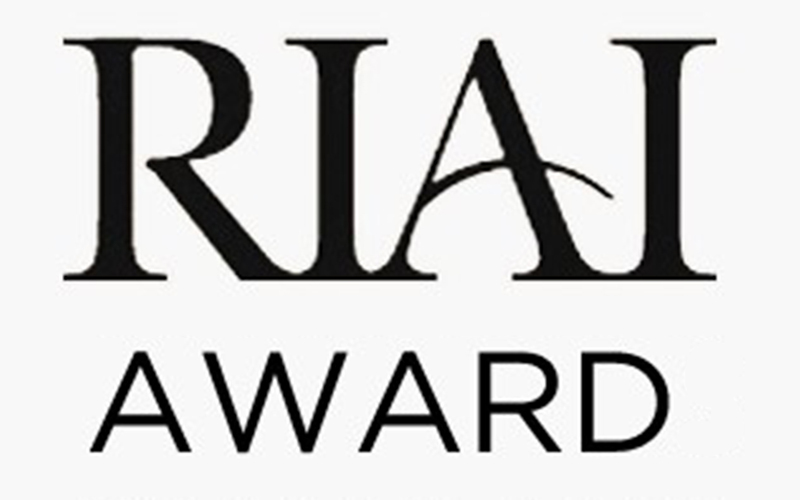 The project was also shortlisted for the Public Choice Award. 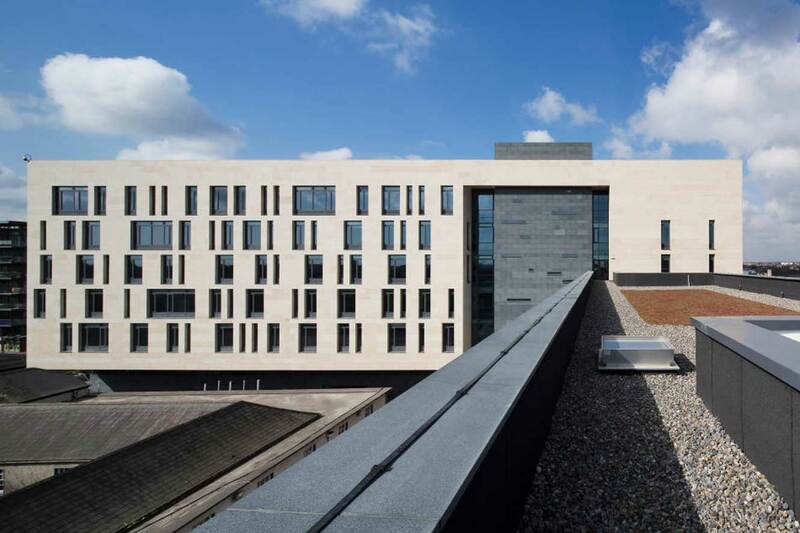 The €40m Mercer Institute for Successful Ageing, located on the St James’s Hospital Campus in Dublin, was completed in 2016. Allied was awarded the contract to create an atrium overlooking the foyer. We used Komfort Polar Single Glazed Partitions EI30 (30 minute integrity and 30 minute insulation with a fall protection of 1.0KN/M). 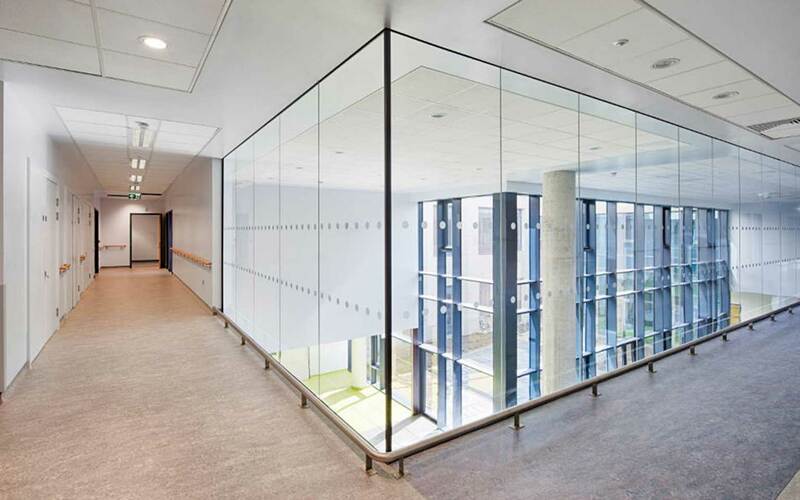 It is a virtually frameless system using translucent silicone glass to glass joints with no vertical posts between modules, corners or three-way junctions. Komfort Polar Single Glazed is available with +/-15mm and +/- 25mm deflection heads.